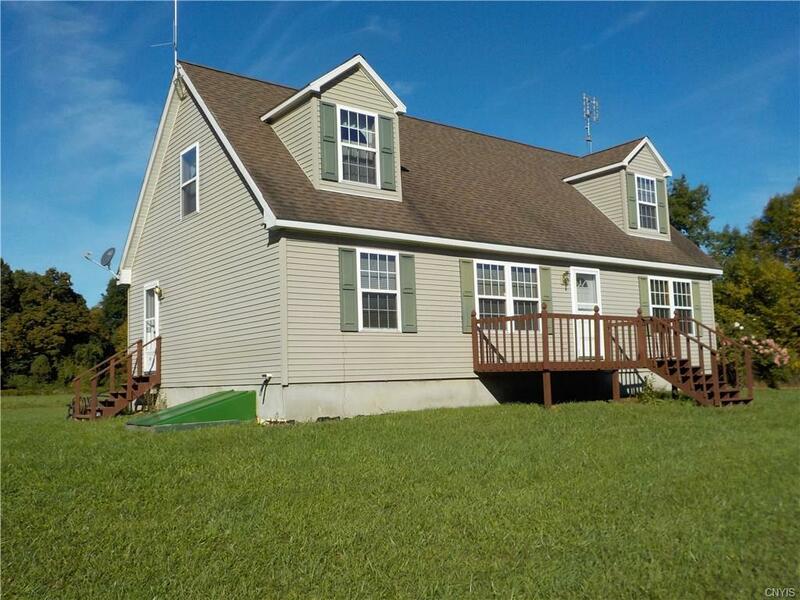 offered 2 ways, 10 acres 4 bed 2 bath cape cod with full basement (insulated and ex high) oak kitchen with appliances, dining L, living rm, and with 48x24 pole barn/ garage with power for 159,900. or available total of 35 acres with 10-12 acres woods for 189,900. It also has underground electric and propane tank, private setting. Won't last super clean!